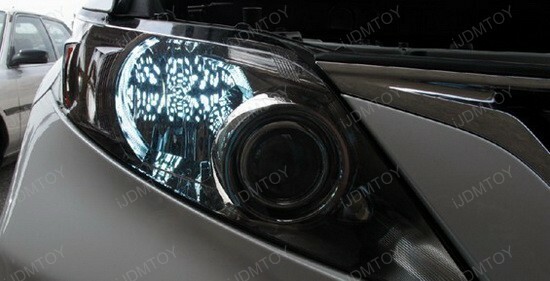 You can find this product under LED Daytime Running Lights (40-045-DRL). 1.) Locate your stock daytime running lights on your vehicle and remove the bulb from the housing. Disconnect the bulb from the harness and replace with our decoder and Lexus RX350 LED daytime running light bulbs. 2.) 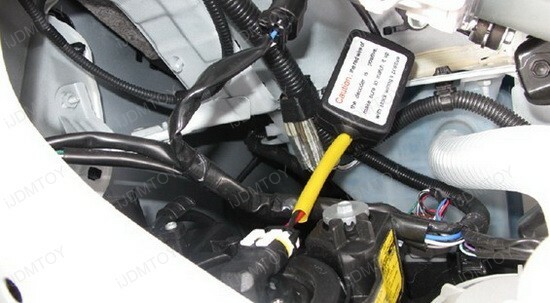 Connect the R4 decoders to your stock harness. The R4 decoders are non-polar so you may connect them in any direction. You may notice the LED light fluctuating for a few seconds upon power. This power fluctuation is a completely normal process. 3.) When installing the LED bulb back into the housing, please make sure that the LED bulb is properly inserted before you twist lock it or else it may damage the lock tabs. If you are having trouble with inserting the bulb into the housing, remove the red o-ring from our LED bulb and use your stock one instead. 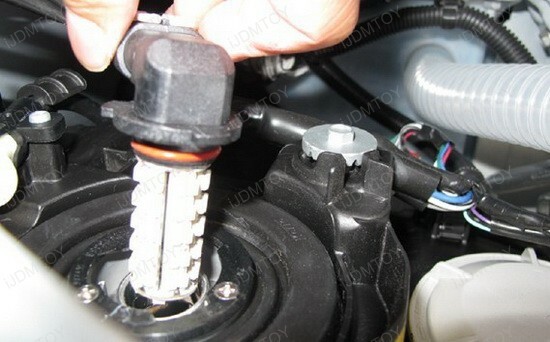 The stock o-ring is thinner and will allow you to install the bulb much easier. 4.) Once you've connected everything together, tuck away the decoder in a safe spot. You can use zip-ties/cable ties to secure it to the vehicle. 5.) Enjoy your new Lexus RX350 LED daytime running lights!